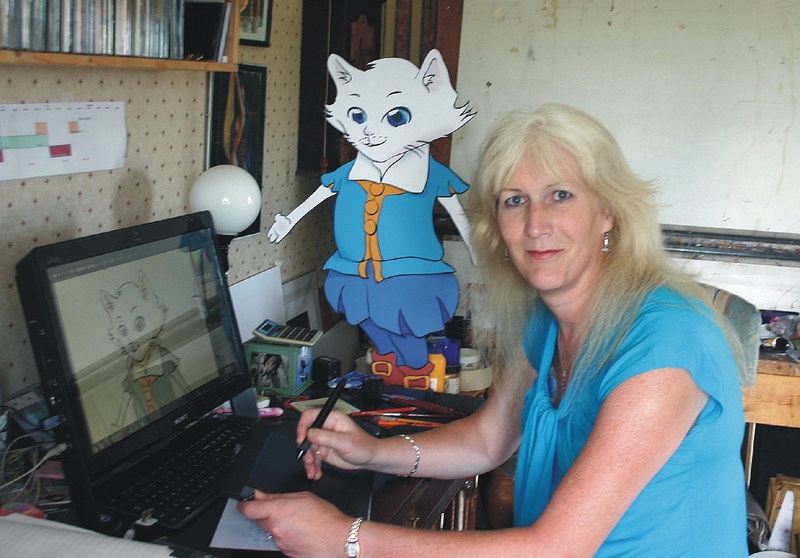 The government StartUp Loans scheme has committed its 20,000th loan to 55 year old Melissa Mailer-Yates and her business Shakespuss and Co Ltd, which aims to make Shakespeare accessible to children through animation. Startup Loans offers accessible business loans and mentors to fledgling businesses. It was initially set-up to cater for 18-30 year olds. But, following pressure from Prowess and other business groups, the age limit was lifted last October. The scheme is now successfully reaching the fastest growing group of entrepreneurs in the UK: women over 50. Given the large number of women over 50 starting up businesses in the UK, it’s probably no coincidence that the StartUp Loans’ milestone muse is in that group. We asked Melissa about her business journey so far and how she has found the StartUp Loans process. Why have you decided to start your new business now? Getting to this point of start-up hasn’t been an overnight thing. I came up with the concept nearly 10 years ago, but really was focused on using it to enthuse my own children first and foremost, I was still too involved in other aspects of my life and didn’t think anyone would be interested in this idea. I worked on a film with a famous TV personality 2 years ago and we worked well together. In discussion afterward he looked at a number of things I had developed over the years for my own and other children, once he set eyes on Shakespuss he got very enthusiastic which made me re-visit the idea. I decided the best way to judge reaction was to mail out to Shakespeare associations and Societies across the world and see if they liked the idea or if they felt it degraded the great works. The response I got was overwhelmingly positive from every corner of the globe, all sorts of different countries. So now I was motivated and enthused and truly believed the product had legs. How did you find the startup loans process? I think belief in your product is paramount. If you aren’t totally sold on it how can you expect others to be sold on it subsequently. I spent a very long time developing the ideas and avenues we could take it, and looking at the most effective ways of moving forward. I knew above all I needed hard cash to make any real start if it was going to be serious. I did a lot of networking and could get no end of serious professional help and support, but it wasn’t until I actually achieved the financial support of the Start-up Loan that I really could consider myself in business. I established the Company a year ago, but it couldn’t trade without money so it stayed in stasis until that point. Now I have a real buzz as I am beginning to see things happen. The actual process of the loan was a surprise to me. I had looked at the possibility of working toward big money from SEIS funding and knew a lot of work would be necessary if I was to be able to go this route. Now I was applying for a much smaller amount of money, but I was looking at a similar amount of work. Initially the response was negative, immediately I followed up with my reasons why they had to take it seriously. At that point I started to be taken seriously, and I personally believe my inability to let it go was a part of the process to weed out those who are not serious. When I saw the huge number of documents that had to be filled out, and the depth of inquiry they were going to I felt very daunted. However, like so many other things in business, it is often just a matter of taking your time and taking each step one at a time, not looking at the whole thing and seeing it as insurmountable. How did you find the associated support/ mentoring? BizBritain were the first stage people, and their help was invaluable. More than anything, until they were confident that all of the angles had been covered and everything made sense in their eyes then they were not going to put it to the actual loan people. Thus I felt confident that all of my work wasn’t going to fall at a hurdle I had simply overlooked or not seen as particularly important. Once I worked out they were in a role of helping to achieve the loan, not there to judge me or my work it made a big difference. More importantly the process was so exact in its production of cashflows and Business Plans, I felt I had a much clearer and balanced view as to where I was heading with the business than the rather more loose goals I had set myself in my mind. It meant I could put a sensible, balanced and worked out flow to the processes I needed to undertake and now knew were possible because of the groundwork necessary to achieve the loan. It was self-tutoring and comforting, but a lot of hard work. What is your vision for the new business? Certainly, while the longer term goal is to proliferate the concept of a focal point on Shakespeare for children based on Shakespuss particularly through fun animations on TV and elsewhere, it became clear to me that initially, and what this start-up is designed to do, is begin the merchandising which in turn will give the Company an income source. That way as we grow the merchandising side of things, both through physical stores and online, we can raise awareness, but also reduce the need to lean on outside funding to attain the more expensive goals. We already have gained the support of institutions such as the Shakespeare Birthplace Trust, and so particularly in Stratford we know we have outlets where we can begin selling product immediately we have it manufactured. Naturally this needs to grow extensively, and no doubt we shall need further funding to expand, whether that is through further government funding or outside funding opportunities. Either way we know we have an international product that will go to every corner of the world entertaining children and making them aware of the wonders inherent in the English language brought to us through our greatest proponent, Shakespeare. Ultimately the greatest goal has to be to reach a point when children all over the world are dragging their parents to come and visit Stratford upon Avon to visit the birthplace of Shakespuss. 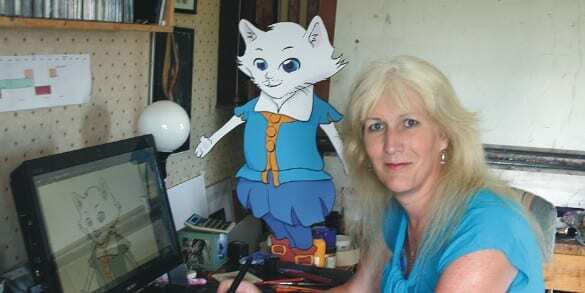 How can we find out more about Shakepuss? Visit the website (even though it is in a very scruffy, disjointed transitional stage at present): www.shakespuss.com. The find out more about Startup Loans click here. The scheme has lent a cool £100 million, with around 41 loans a day being distributed. See below for all the latest facts and figures about StartUp loans.